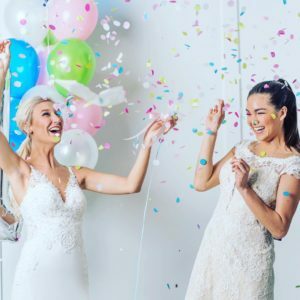 30a Wedding Co. / Margaret Ellen Bridal : 30a Wedding Co Local Love - 30a Wedding Co. Margaret Ellen Bridal : 30a Wedding Co Local Love - 30a Wedding Co.
We’d like to take a minute to introduce you to our newest 30A-List member : Margaret Ellen Bridal! We sat down with Maggie to learn more about how she turned her dream into a business (and to get to know her a little better!) Moving her family from Mississippi was not an easy decision, but ultimately she knew she needed her follow her heart to the beach – Coincidentally enough, HGTV was right on her tail, contacting her and her husband to be a part of the hit show, “How Close Can I Beach?”. 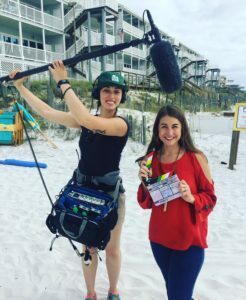 The TV Show chronicles their search for a home along 30A and airs April 15. Maggie will host a showing at 30Avenue April 18 at 7:30pm on the lawn. 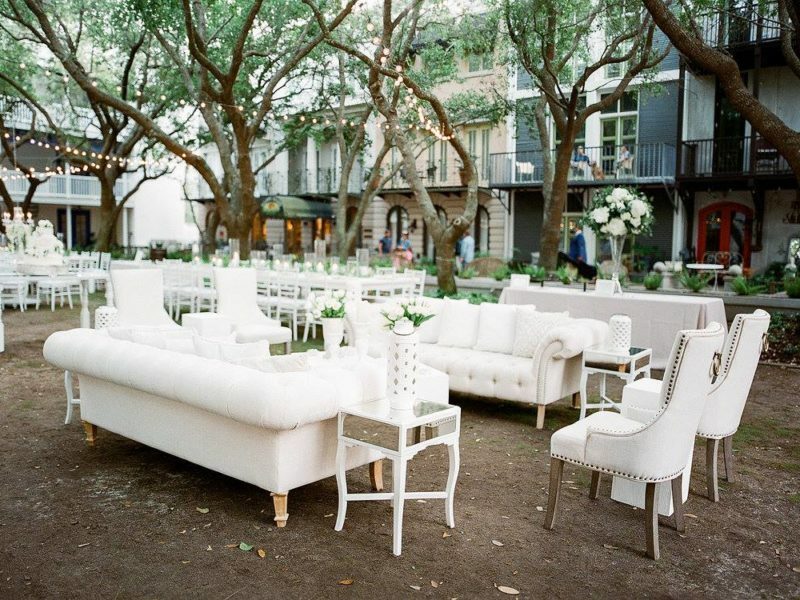 Bring your lawn chairs and come early for refreshments and snacks inside Margaret Ellen Bridal! In the meantime though, let’s get to know more about Margaret Ellen Bridal! How did Margaret Ellen Bridal come about? I have dreamed of bridal gowns since I was a little girl in elementary school. My childhood career dream was to become a fashion designer that specifically designed wedding dresses. I was given a sewing machine one Christmas but just could not master the technique despite my mother’s instruction. Consequently, I gave up sewing along with the idea of becoming a wedding gown designer. Fast forward to my senior year of high school and I was faced with the decision of what I was going to do for the rest of my life. Like, how do you ask a 17 or 18-year-old that question??? Education was in my blood, and I have always loved kids so I chose elementary education. After my first year in the classroom I was pretty miserable. I loved the kids, I loved my summers off, but I just was not happy teaching. It all came full circle when my best friend, Molly, got engaged in December 2016 and invited me to gown shop with her. The whole experience was just magical. I once again was in love with wedding dresses. I called my mom that night and said, “Mom, I have the best idea. 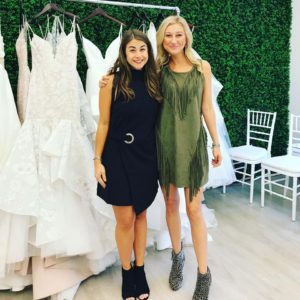 I am going to open a wedding dress shop on 30A.” It took a little time for her to get on board but after a few weeks she hopped on and has been full force behind the scenes of helping me plan for and run Margaret Ellen Bridal. I did not exactly end up as the gown designer as I dreamed of as a child, but my role is so much more fun. I get so much joy when a girl finds the dress she is going wear as she marries her groom. 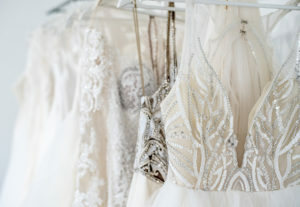 What sets your bridal shop apart from others? I want the bride to have the experience that all brides should have when finding their perfect gown. I want them to be able to remember this experience so I make it absolutely all about them. 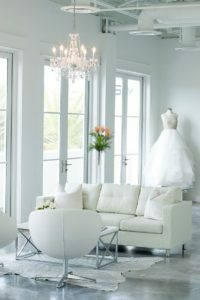 The bride and her family and friends are the only ones in the shop at the time of the appointment and are served champagne, mimosas, and sweet treats. This provides a relaxed and intimate atmosphere. I carry some of the world’s leading designers which is different from other stores in our area. We travel to New York Bridal Fashion Week twice a year and choose our gowns straight from the runway with our brides in mind. I host trunk shows so that an entire collection from a designer comes in to my store for a weekend and brides have the ability to try on so many different styles from that designer. 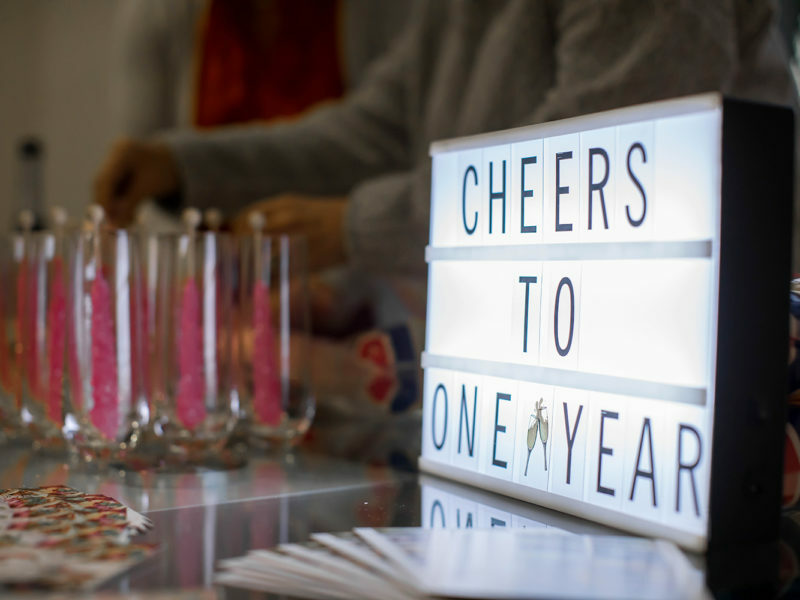 A lot of the time a representative from the designer comes with the trunk show to help with appointments, explain custom design changes, and enjoy all the fun a trunk show weekend consists of. Another thing that makes Margaret Ellen Bridal different is that with the majority of my designers, a bride can customize a dress. Let’s say she likes the front of one dress and the back of another dress and it is by the same designer; we can make that happen for her. Then it is like she really created her own dress that no one has had. Are you able to special order dresses outside of what you have in store? Absolutely! I am able to special order dresses outside of what I have in store from any of my seven designers. I am also able to get loaners in so if I don’t have a dress but a girl wants to try it on I can get it from the designer. I LOVE all of my designers which include Blue Willow by Anne Barge, Blush by Hayley Paige, Hayley Paige, Liancarlo, Marcheasa Notte, Martina Liana, and Nouvelle Amsale. Martina Liana and Hayley Paige have been crowd favorites since opening in January 2018. 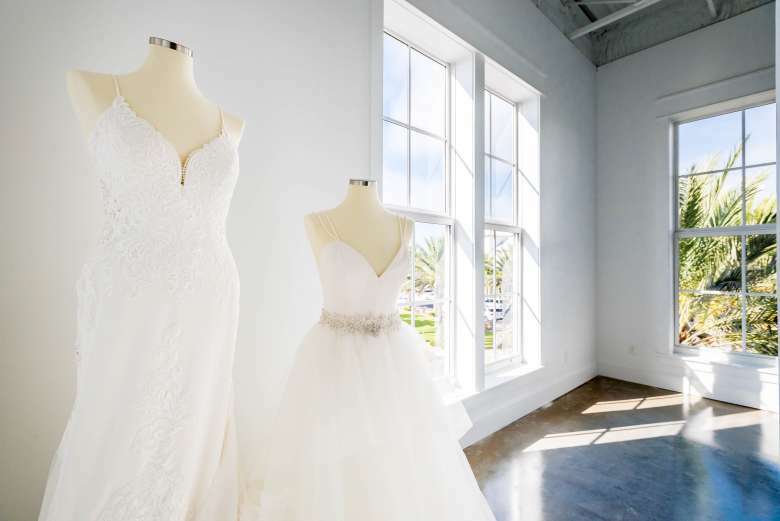 Her shop is beautiful, and we encourage all of our brides to give Maggie a call to set up an appointment for your one of a kind bridal shopping experience. 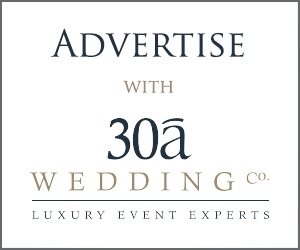 30a Wedding Co was started with the goal to bring more brides to our beautiful Emerald Coast and to be able to connect them with A-List Vendors. We also strive to provide tips and knowledge about our area and weddings to help couples make their planning smooth!